Donations for children displaced by Monday's West Oakland apartment fire are pouring in to the Red Cross shelter and neighborhood elementary school. But what displaced families really need is money to make a first and last month's rent deposit in the Bay Area's pricey housing market. Hoover Elementary School Principal Ashley Martin set up a GoFundMe page titled "Hoover Family Recovery Fund" soon after she realized that three of her students had lost everything they owned in the four-alarm blaze. The fundraiser has raised more than $6,000 in its first 24 hours, mostly with small donations of $25 to $50. The goal is to raise $10,000 to help each family find homes and replace basic household items. One of the children who is now homeless is a fifth-grade girl who Martin described on the GoFundMe page as a leader at school, who also loves to dance. The girl's younger brother is in kindergarten and is obsessed with superheroes. Another second-grade girl who Martin describes as "full of life and pizzazz" and a "helper in class" also lost her home and belongings. Martin said other Oakland school administrators have told her about at least 10 children displaced by the fire. Pamela Stanley, the school's PTA president, said her brother called her on Monday morning, telling her to bring clothing and jackets because the children were standing on the sidewalk in their pajamas and socks. Stanley said she was especially moved by the single mothers who were already struggling to make ends meet, only to have all their belongings go up in flames. 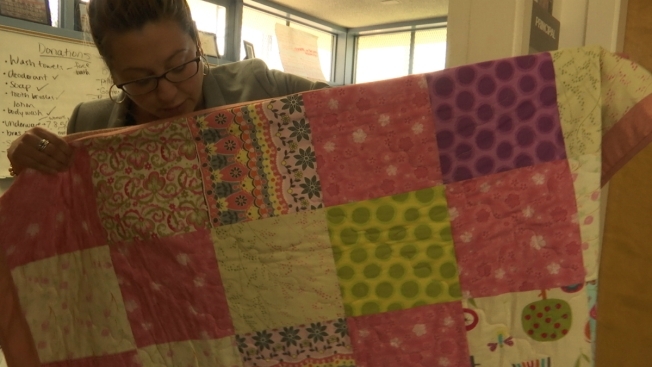 She said some have recently lost their jobs or fled abusive situations, and now they are faced with worrying about how this tragedy will affect their children. Stanley visits them at the community center-turned-shelter and describes the parents as "on-edge" and "overwhelmed." She helped two mothers set up their own fundraising pages to get themselves and their children back on their feet. People have dropped off bags of clothing, some of it brand new. But the parents really need financial donations. "Here in Oakland, it is very, very expensive," Stanley said. "The moms do not want to move out of Oakland. They don't want to be relocated to Stockton or Sacramento. It's too far. This is home for them. They don't want to pull their kids out (of school) and relocate." Hoover Elementary School's literacy specialist, Gillian Bowley, said all three kids are "happy, hard-working, wonderful kids who are adored by their classroom teachers." Bowley said she was shocked Monday to see photos on the news of children she works with, standing on the sidewalk wrapped in Red Cross blankets. "Just last week that child was laughing and smiling in class," Bowley recalled. She was encouraged by the anonymous donors from far and wide who have already contributed to the school's GoFundMe page. "I'm so moved by these networks of caring people," she said. "Kids are so resilient. We just need to keep it going into Spring Break, to really give these families the help they need to rebuild their lives." Spring Break starts on Friday for Oakland schools. Bowley said she hopes that while the teachers and families relax or head out of town for vacations, they keep spreading the word about the fundraiser for the kids who lost everything in the fire. Contact Raquel Maria Dillon: raquel.dillon@nbcuni.com and @RaquelMDillon.